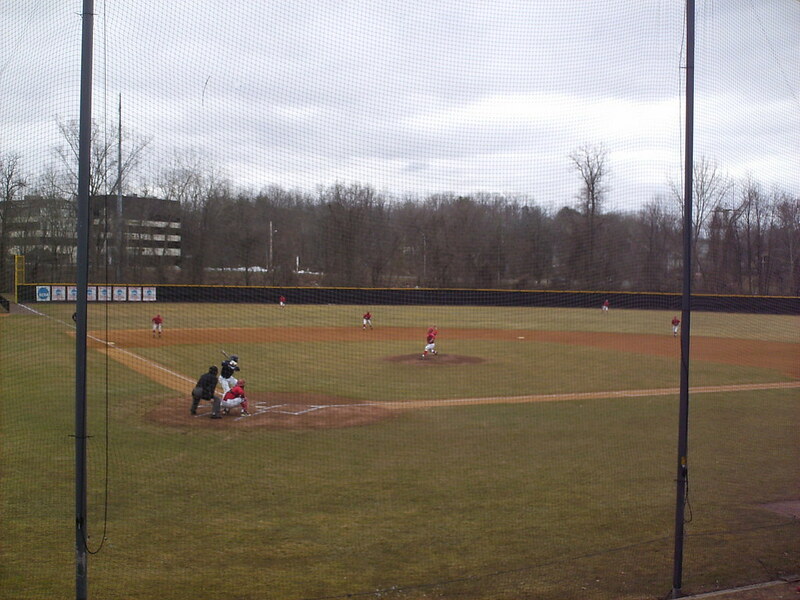 The view from behind home plate at McCann Field. 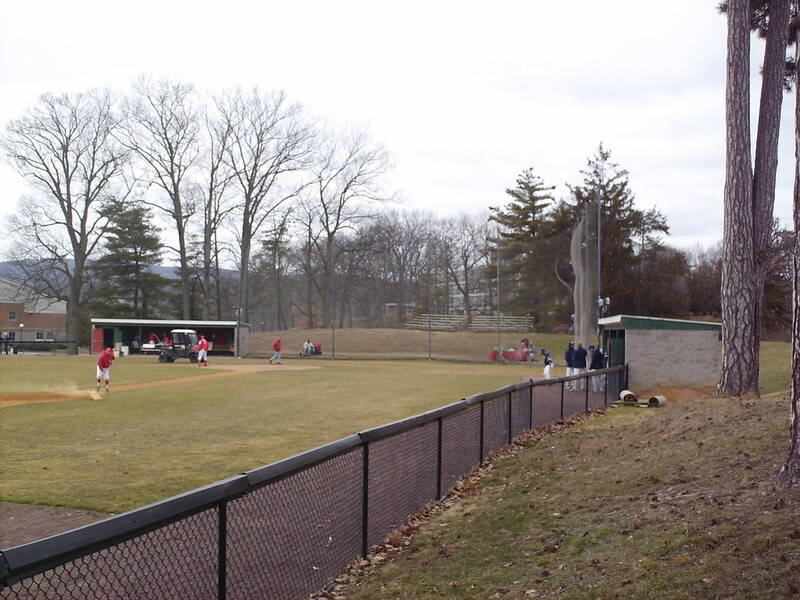 The main seating area at McCann Field, as seen from the left field corner of the ballpark. 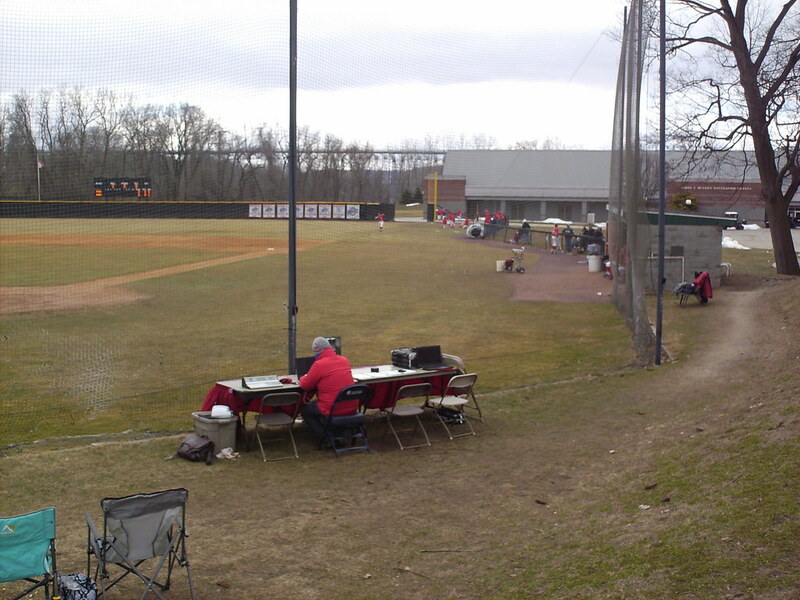 The "pressbox" is a folding table set up behind the backstop netting at home plate. 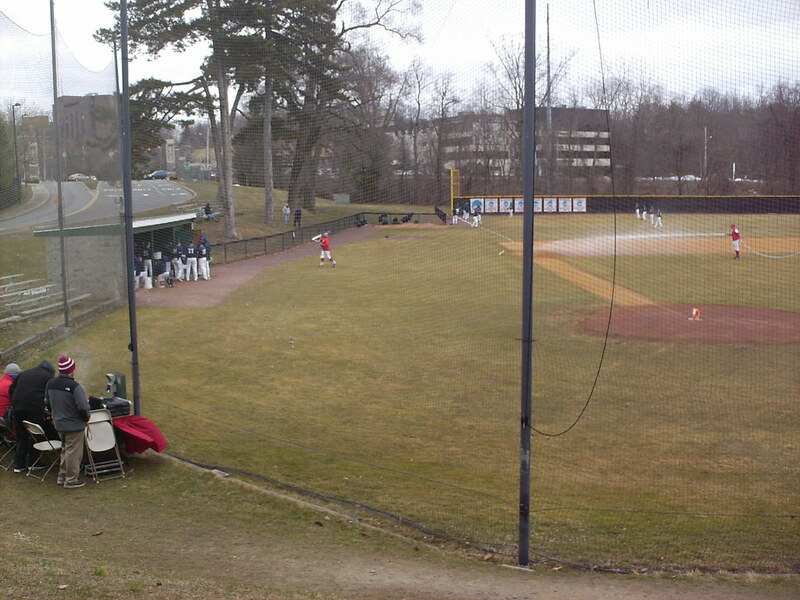 There is very little fixed seating at McCann Field. 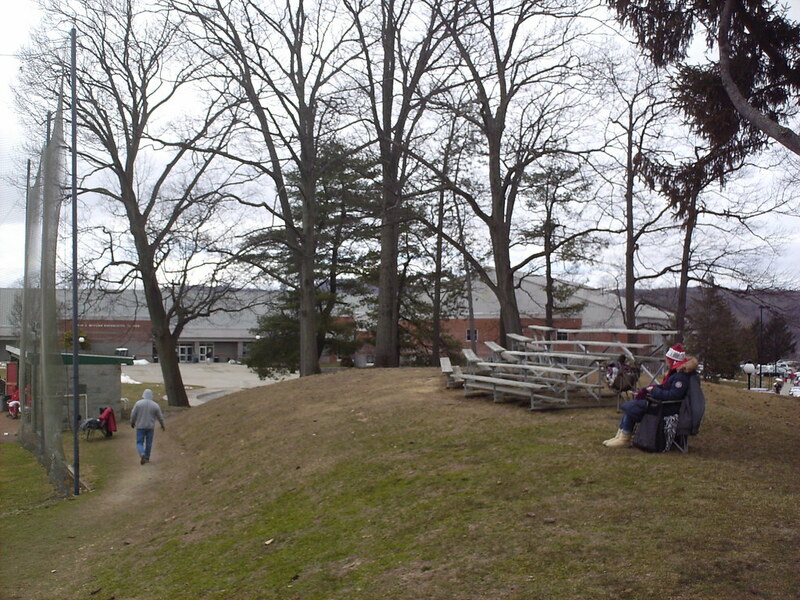 A large steep berm sits behind home plate where fans can set up their own chairs, and two small wooden bleacher sections sit on top of the hill. 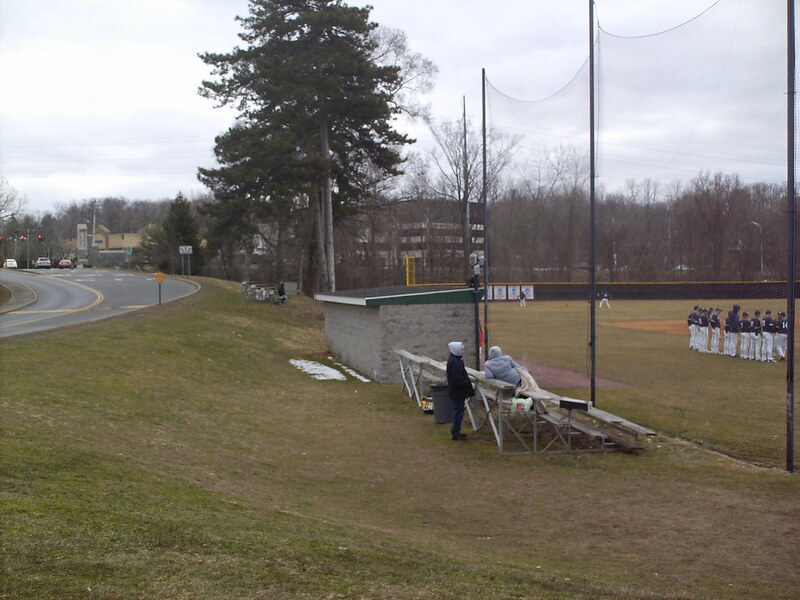 A few more small bleacher sections sit beside the third base dugout. 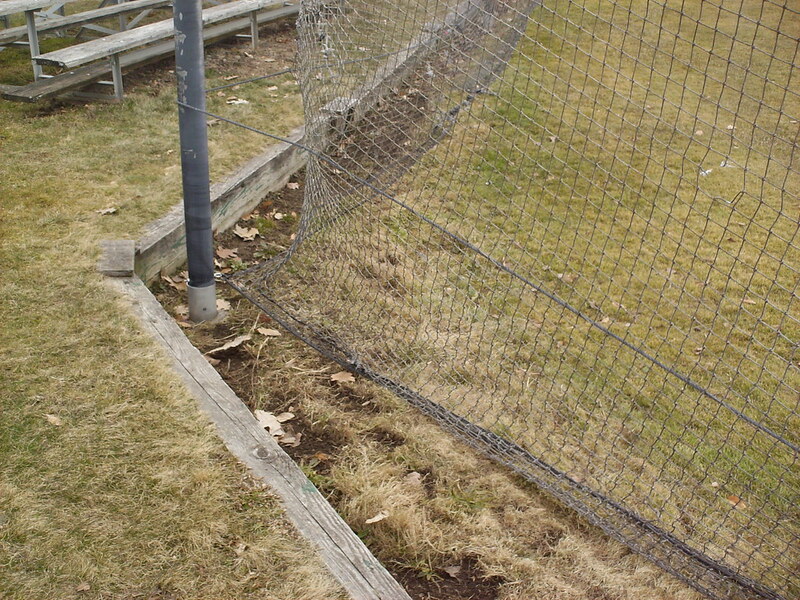 The very small wooden backstop, with netting that extends to the ground. 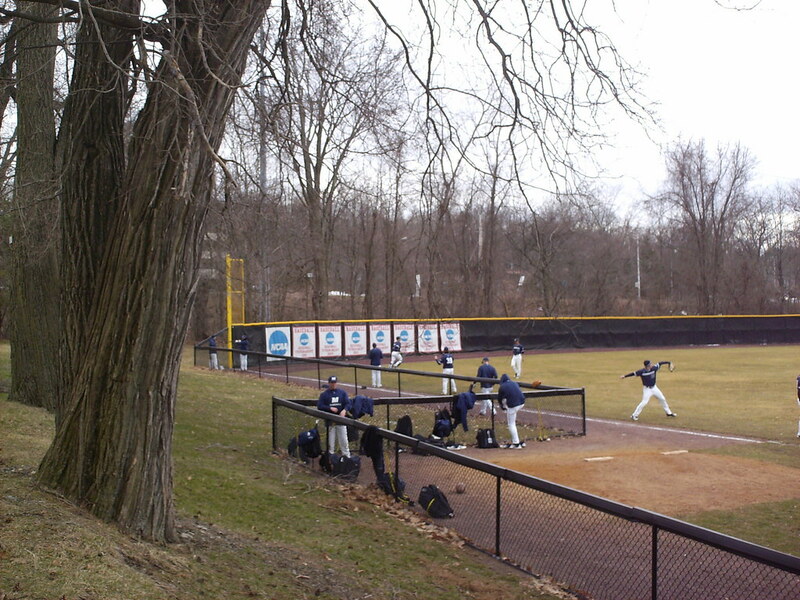 The park features a wide area of foul territory behind the plate and down the lines, with trees overhanging the foul area. 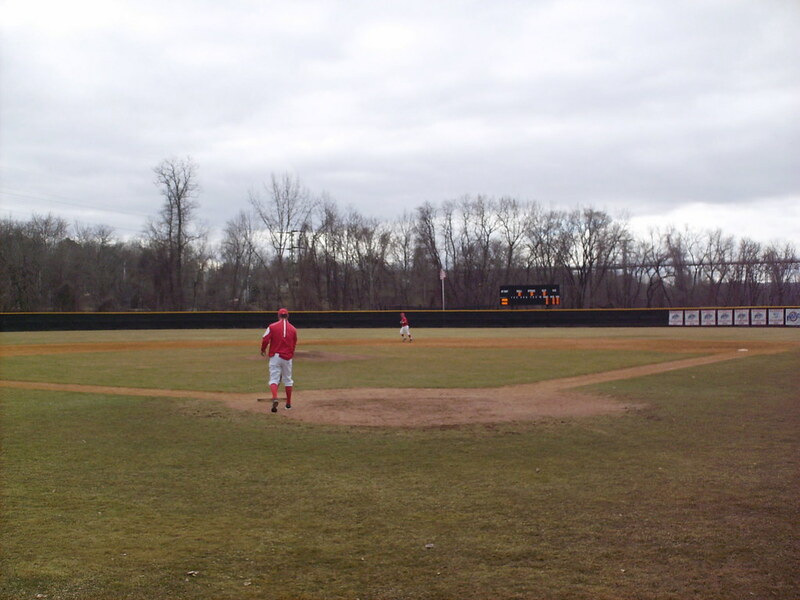 The bullpens sit in foul ground in the outfield corners. 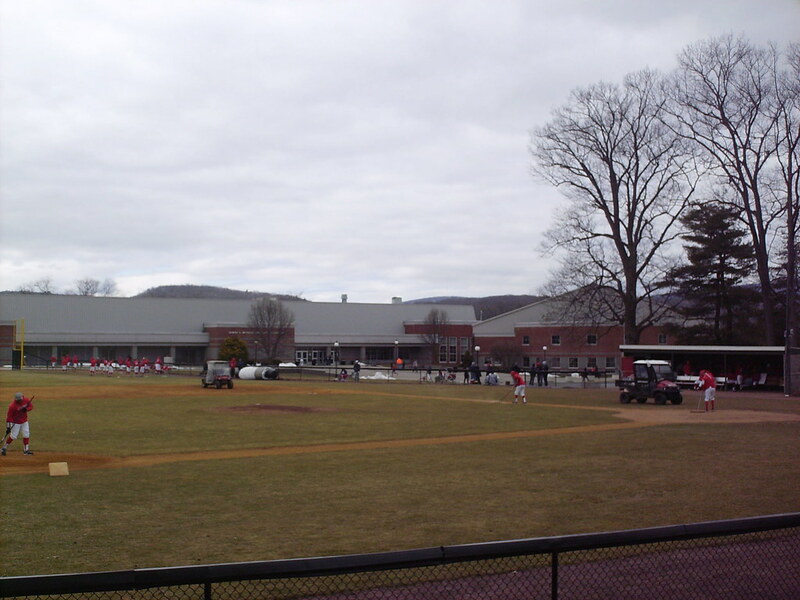 The McCann Fieldhouse, home to Marist Basketball, sits beyond the right field corner of the field. 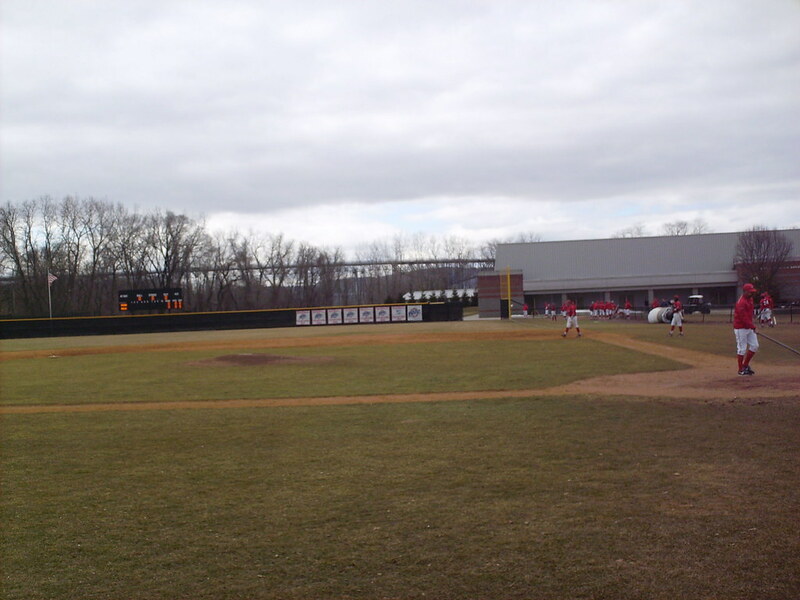 The scoreboard sits behind the right field fence. 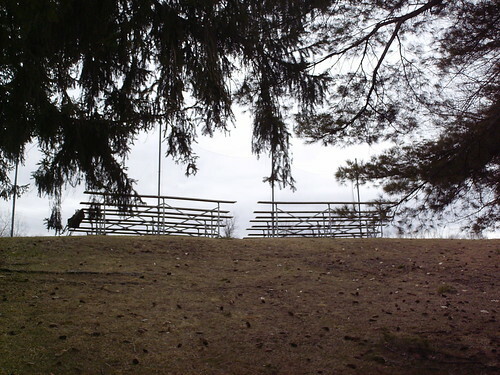 A large pedestrian bridge over the Hudson River provides a backdrop beyond that. 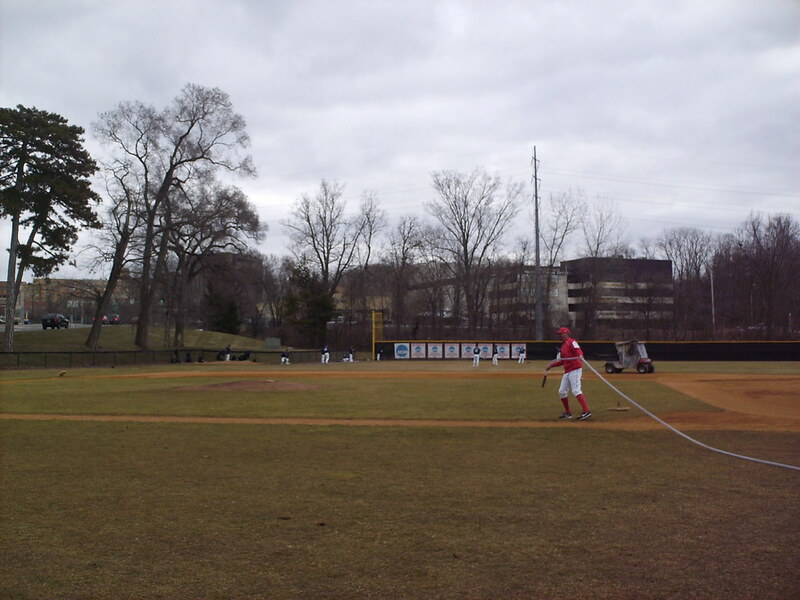 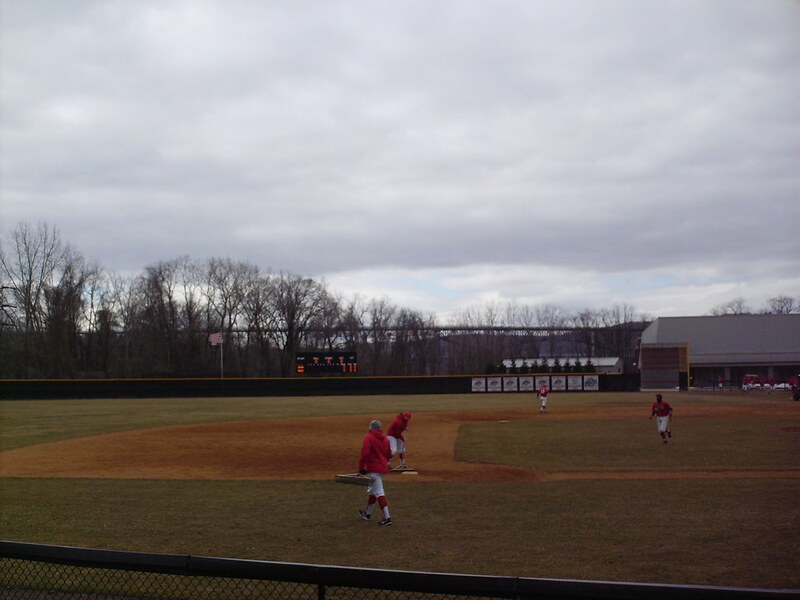 The Marist College Red Foxes on the field during a game at McCann Field.